NEW YORK (AP) — "All the Stars" are not performing at the Academy Awards, including Kendrick Lamar and SZA. LOS ANGELES (AP) — "Black Panther" broke through an Oscar category wall for superheroes. 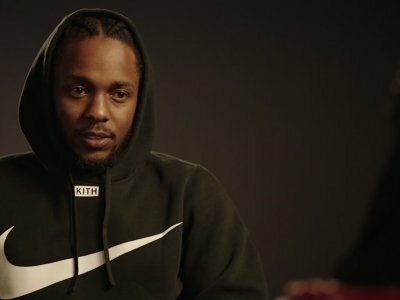 BEVERLY HILLS, Calif. (AP) — It was Kendrick Lamar's friendship with 50 Cent that helped him get a guest role on Starz's "Power," but Lamar came ready to work. GEORGE, Wash. (AP) — The music festival that drew thousands to the scenic Gorge Amphitheatre in central Washington each year has come to an end. The founder of the Sasquatch Music Festival, Adam Zacks, says that after 17 years he will no longer produce the outdoor fest and it won't take place in 2019. Zacks wrote in a statement Thursday that "today we take a bow and bid fond farewell to Sasquatch." DOVER, Del. (AP) — A 20-year-old woman has died on the campgrounds of a popular music festival in Delaware that has drawn tens of thousands of people. GULF SHORES, Ala. (AP) — Organizers of the Hangout Music Festival at Gulf Shores, Alabama, are hoping for improving weather after a wet start to the event. Saturday's schedule includes headliner The Chainsmokers and Halsey, and forecasters say there's a 20 percent chance of rain with highs in the upper 80s. That's a big improvement from the kickoff party on Thursday, when officials had to tell people to seek shelter as severe weather moved through the area. PHOENIX (AP) — The only two black members of the Arizona Legislature were formally chastised for speaking out against a Republican lawmaker's published column, which included a racial slur and they say derided black activists while attempting to discredit leaders of a teacher group protesting for better pay. 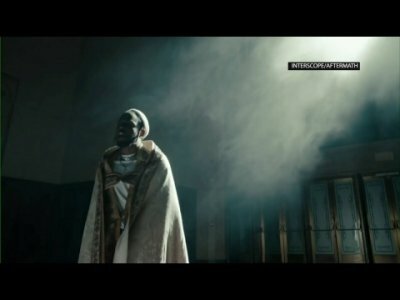 NEW YORK (AP) — The decision to award rapper Kendrick Lamar the Pulitzer Prize for music represents a historic moment for hip-hop and American music, according to two of the music jurors who picked the album "DAMN." as a finalist. Jack White says hip-hop stars have more of a "dangerous edge" than rock stars nowadays. The former White Stripes star has been vocal about how he feels current rock 'n' roll lacks a "wildness", and now he's admitted he is a bigger fan of hip-hop than rock because it's punk's next best thing. He said: "Rappers have the dangerous edge of music now - what I would consider the closest thing to that stuff you might not want your parents to know you're listening to." Houston rapper Maxo Kream starts and ends his latest album with references to his identity. The voice of his father, a Nigerian immigrant, opens the record: "Your name is Emekwanem Ogugua Biosah." At album's end, Biosah's grandmother can be heard saying: "Punken, pull your pants up, boy." HUNTINGTON —The V Club Night Club will be hosting a benefit for the Ronald McDonald House of Huntington on Saturday, March 3. Bands such as the Dividends, Basie, the Karpet Dabs, and Shenanagram will perform at the V Club located at 741 6th Avenue in Huntington. Doors open at 8 p.m.
LONDON (AP) — If you think there's no escape from the songs of Ed Sheeran, you may be right. The International Federation of the Phonographic Industry says Sheeran had the world's top-selling album last year with "Divide," as well as the best-selling single, "Shape of You."